Dynamic Sports Facilities pride ourselves in being able to help out clients at every stage throughout the process of creating and managing any type of sports court or facility for your home, business or community organisation. 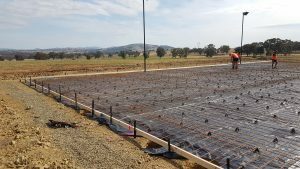 No matter the size of the job we can help – from a basketball practice court for a small backyard, to a running track for a sports oval, to a fully covered multi court facility, our expert team can guide you through every step from design to completion. Let the team from Dynamic Sports Facilities become involved from the outset. Will the court be used for activities other than sport? Will the court be used by multiple users? Which sports would you like to include on your court? Are there any local council requirements that you may need to consider? We will work with you to plan your court, from start to finish! 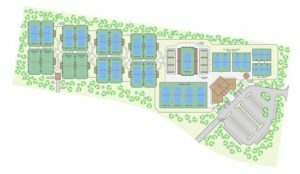 Design a court that your family or the community will use for years to come. 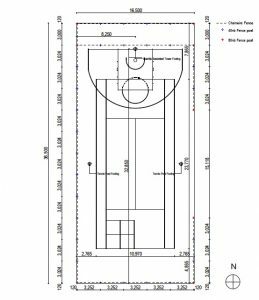 When designing your court, it is important to consider the final users of the court and which sports will be most important to them. The Dynamic Sports Facilities team will work with you to develop the best design which will fit within your available space and will provide the best possible court to encourage your community to GET ACTIVE. Our customised designs will complement your home, landscaping and outdoor environment. There is nothing more satisfying than turning a backyard or a paddock into somewhere to play sport while creating an aesthetically pleasing feature that is befitting to the people who come to participate or admire the game. We set a budget with the client, enter into a fixed priced contract and guarantee to construct your court to your satisfaction. We’ll keep you updated through the construction of your project. To break the first sod of soil and take great pride in the supervision and construction is what excites us!